Do Money Clips Make Good Wedding Gifts? Trying to find a unique and meaningful wedding gift can be a difficult challenge, especially if the wedding couple has chosen not to sign up for a wedding registry. Or perhaps you'd simply prefer to gift the bride and groom their own individual gifts to show them your appreciation for them as independent people. Whatever your aim may be, when you're looking for a personal gift for the happy couple, consider a money clip. A money clip is an elegant and sophisticated gift. Grooms will often give their groomsmen money clips to thank them for their part in the wedding, but no doubt many don't think to get themselves a money clip as well. A wedding is the perfect occasion to give a couple all of the things they wouldn't buy themselves but could still benefit from. Money clips are good to have on hand for special events (like a wedding) where formal wear is required. 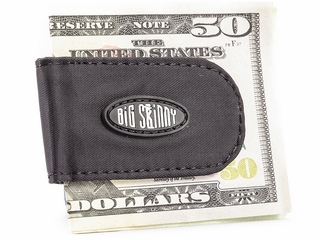 Regular wallets are often too bulky for suit pants and jackets. 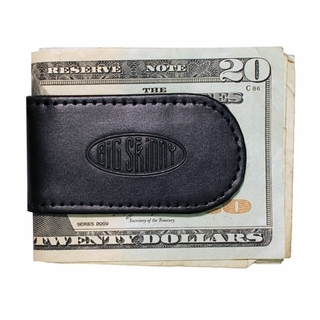 A money clip is small and compact and will easier accommodate all of the essentials like ID and cash. Money clips are clearly beneficial for grooms, but what about brides? How can a money clip benefit people who don't typically carry money clips? While most women may not choose to carry a money clip, some women find the minimalist approach of the money clip appealing. If this is the case, it's a good idea to gauge a bride's personal style before gifting her a money clip. There are also sentimental reasons even a bride who usually wouldn't carry a money clip can appreciate. In many cultures around the world money clips and similar items are thought to be an expression of wishing a new couple financial success and good fortune.